It’s easy to jazz up a standard event to make it more lively and original. By adding in accouterments to enhance the atmosphere, décor, theme and energy of the event at hand, you can wow your guests and create a mood that is stimulating and memorable. Once date, venue and guest list are established, it’s time to add in the details that can make an event more entertaining and exciting and urge guests to want to mark their calendars for any future events that you or your organization will host. Firstly, consider your audience. Is it a younger or older crowd? 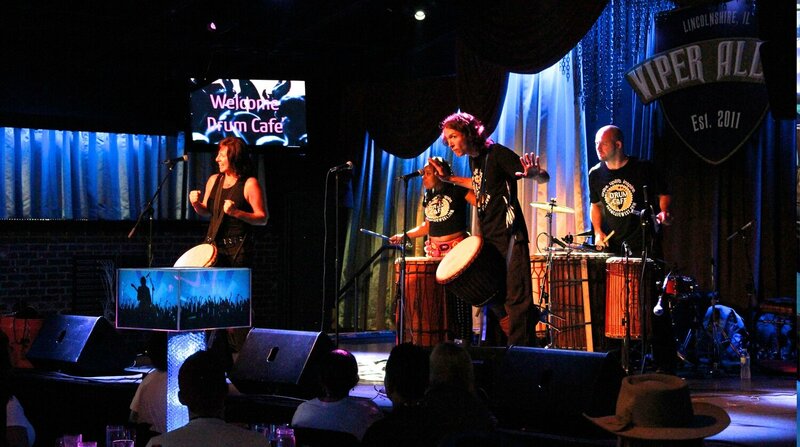 Are you gathering for an intimate celebration or a corporate, team-building event? Is the occasion to raise money for a non-for-profit organization or to hear a renowned speaker provide expertise within a field? Once the theme and desired atmosphere is set, you can then find ways to kick the event up a notch, while staying in line with your guests’ personalities and hopes for the affair. Look for these five ways to make your event legend…wait for it…dary (“How I Met Your Mother” quoting at its finest!). Showcasing a photo booth, live photomontage or guest book can help build memories of the event and encourage people to let loose and have some fun. Plus, if your event is directed towards team building or networking, photo booth opportunities are a great way to make new connections and further a bond. Include silly props for additional laughter and playfulness! While a DJ can be entertaining for a younger crowd, as loud and energizing music can certainly get a party started, live performances might be better suited for an older group of people or those who would like that additional “wow” factor. For older crowds, a band or jazz singer could provide more fitting music. For any demographic, live acrobatic, magic and dance performances can really invigorate an event and make it more memorable and unique. Keeping guests engaged with interactive activities can make an event more lively and fun. If you are hosting a team-building event, there are several activities to choose from. However, if you planning a non-for-profit event, a game of trivia (with prizes, of course! ), could be a great way to spice up the affair and get a little competitive energy flowing. It can also build connections with those around you. Creating a raffle or silent auction is a great way to raise money for a good cause, if you are an organization, of course, and to get guests excited to bid on certain objects or partake in activities that can present the opportunity for earnings, prizes and new adventures. Aim for a medley of featured items, from trips and self-care services to sports games and theater tickets. Furthermore, providing guests with memorabilia to take home as a reminder of the event can make for a sweet end to an affair. Keep the suspense alive by giving guests teasers leading up to the event. By warning them of fun, exciting surprises to come, it’ll build high anticipation and make the affair that much more memorable. Channel your social media skills to offer up hints as to who the surprise musical performers or guest speakers are, as these outlets are able to engage viewers and spark conversation. Just make sure that your acts are booked in time, as a no-show would be a major letdown! Interested in booking your next private event at Viper Alley? Contact us on our website or by phone at 847.499.5000.